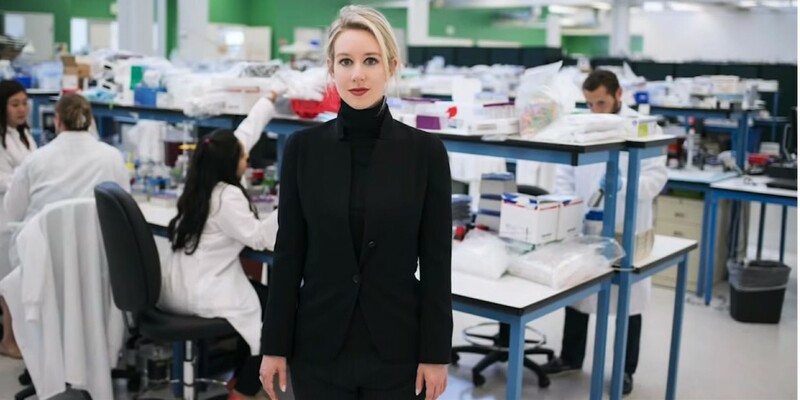 One of the fastest growing firms in Silicon Valley was something called Theranos, created by a dynamic young entrepreneur named Elizabeth Holmes. Nobody questioned her premise that inserting your finger in a box could do full blood testing. The rich invested and Walgreen’s installed them, until investigation into its shaky science caused it to drop valuation from $9 billion to zero in one day. Documentarian Alex Gibney captures the unusual story in his “The Inventor: Out for Blood in Silicon Valley” (HBO, 9 p.m.). A beloved grandmother in Hillside, N.J., is remembered, as her house and possessions are deconstructed and a life imagined in the visually striking “306 Hollywood,” a documentary that uses touches of magical realism, making its debut on “POV” (PBS, 9 p.m., check local listings). Prosecutor Marcia Clark seems determined to retry the O.J. Simpson case she famously lost. Apparently heartened by her appearance in an Emmy-winning miniseries, she brings “The Fix” (ABC, 8 p.m.) in which Robin Tunney plays a DA in Los Angeles who loses a big murder case against a celebrity only to face him once more when his girlfriend is found dead. Yet another late night voice emerges with “The D.L. Hughley Show” (TV One, 11 p.m.), an offshoot of his daily syndicated radio show, based in Burbank, with guests and issues. Jake Tapper moderates a “Town Hall” (CNN, 9 p.m.) with Elizabeth Warren from Mississippi. So many singing tryouts! Auditions continue on both “American Idol” (ABC, 8 p.m.) and “The Voice” (NBC, 8 p.m.). “9-1-1” (Fox, 9 p.m.) returns with an episode about a shark incident. Lynn goes head to head with Dr. Jace in the season two finale of “Black Lightning” (CW, 9 p.m.). Isabelle asks Alec for help on “Shadowhunters” (Freeform, 8 p.m.). “Arrow” (CW, 8 p.m.) zooms into the future. Two patients need the same machine on “The Resident” (Fox, 8 p.m.). Adam and Andi goes to a hotel on “Man with a Plan” (CBS, 8:30 p.m.). On “Vanderpump Rules” (Bravo, 9 p.m.), Lala continues to mourn her father. Pleasure returns from Australia to “Love & Hip Hop: Miami” (VH1, 9 p.m.). Keaton tries to stop an attack on U.S. soil on “The Enemy Within” (NBC, 10 p.m.). “Love & Hip Hop: New York” (VH1, 8 p.m.) continues its reunion. A teen is tried for murder on “Bull” (CBS, 10 p.m.). The Fourth of July party is only just winding down on “Summer House” (Bravo, 10 p.m.). Mike goes too far on “Lindsay Lohan’s Beach Club” (MTV, 10 p.m.). Turner Classic Movies remembers Stanley Donen, the director and choreographer who died Feb. 21 at 94, with the 2006 Robert Osborne interview “Private Screenings: Stanley Donen” (8 p.m.) and his films “Singin’ in the Rain” (9 p.m.), “On the Town” (11 p.m.), “Seven Brides for Seven Brothers” (1 a.m.), “Royal Wedding” (3 a.m.) and “It’s Always Fair Weather” (5 a.m.). During the day it’s all about debutantes on TCM with “You’ll Find Out” (6 a.m.), “Higher and Higher” (7:45 a.m.), “Christopher Strong” (9:30 a.m.), “Little Nellie Kelly” (11 a.m.), “Andy Hardy Meets Debutante” (12:45 p.m.), “These Glamour Girls” (2:30 p.m.), “Little Women” (4 p.m.) and “Jezebel” (6 p.m.). NBA action includes Golden State at San Antonio (ESPN, 8 p.m.) and Indiana at Portland (ESPN, 10:30 p.m.). Hockey has Vancouver at Chicago (NHL, 8:30 p.m.). Spring baseball has Philadelphia vs. St. Louis (MLB, 1 p.m.), Cincinnati vs. Colorado (MLB, 4 p.m.) and Dodgers vs. Texas (MLB, 10 p.m.). It’s the women’s turn for an NCAA tournament selection show (ESPN, 7 p.m.). Bowling has its Cheetah Championship (Fox Sports 1, 8 p.m.). And it’s U.S. vs. Russia (NBC Sports, 2 p.m.) in the women’s curling world championships. Kelly Ripa and Ryan Seacrest: Chris Meloni, Robin Givens. The View: Marcia Clark. The Talk: Kristin Chenoweth. Ellen DeGeneres: Rob Lowe, Tig Notaro, Jason Sudeikis, Olivia Wilde, Hannah Brown. Wendy Williams: AJ Gibson, Melissa Garcia. The Real: The Game. Stephen Colbert: Lupita Nyong’o, Vicky Ward, Karen O & Danger Mouse. Jimmy Kimmel: Mandy Moore, Antoni Porowski, Jonathan Van Ness, Karamo Brown, Tan France, Dean Lewis. Jimmy Fallon: Jordan Peele, Malcolm Gladwell, Marion du Toit, Sharon Van Etten. Seth Meyers: Oscar Isaac, Winston Duke, Emily King. James Corden: Adam Scott, Taron Egerton, Miles Kane. Carson Daly: Stephanie Beatriz, Talos, Ben Sinclair, Katja Blichfeld. Trevor Noah: Gov. Jay Inslee. Conan O’Brien: Ray Romano.